The Children’s Rosary® is a prayer group movement that was begun out of love for Our Lady and Her Son. Jesus tells us “Truly, I say to you unless you turn and become like children you will never enter the Kingdom of Heaven” (Matthew 18:3). 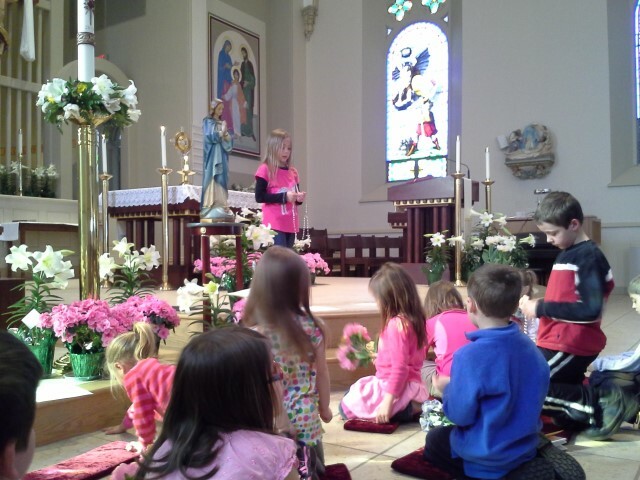 The Children’s Rosary is an effort to begin in parishes rosary prayer groups composed of children and led by children. Through prayer of the Rosary Our Lady will guide our young people while at the same time sanctify families and Parishes.